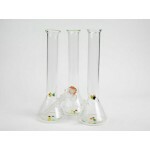 The 13 Inches Thick Beaker Water Pipe offers the stability of a glass beaker pipe cast in thick, rugged borosilicate place. 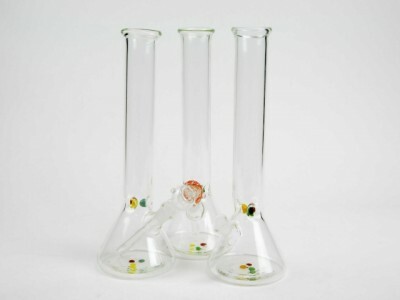 A removable downstem is augmented with slits for aerated smoothness. 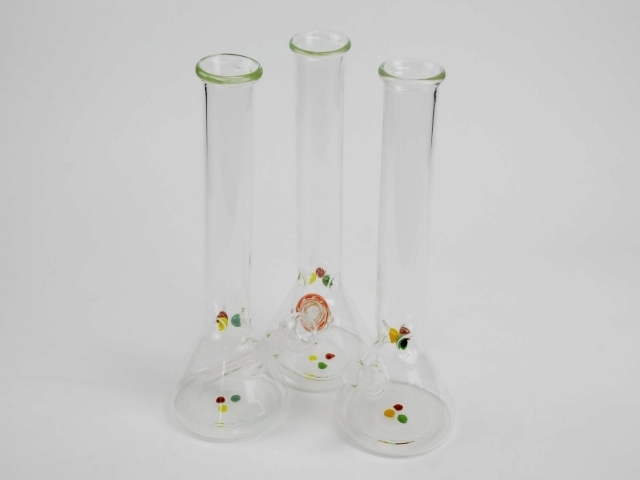 A 3-pronged ice catcher punctuates the neck to add some extra chill to your hits. 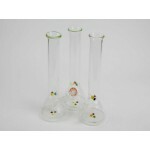 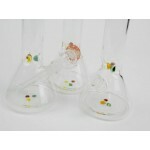 The design of a beaker pipe is such to deliver huge hits from the voluminous chamber. 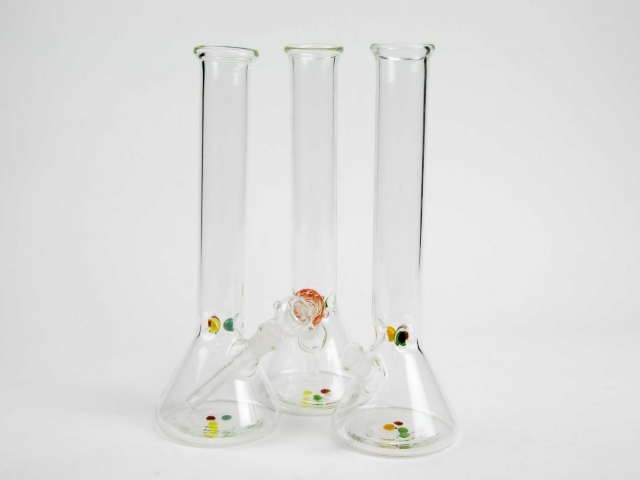 A simple, sleek black ring at the mouthpiece adds a touch of personality to this impressive piece.